For years, Dr. Kenneth Sanders worked out in a traditional gym – using the usual assortment of machines and weights. But eight years ago, the well-known Shreveport plastic surgeon found CrossFit, and he hasn’t sweated through a “traditional” workout since. Something else that made sense to Sanders – a CrossFit competition in Shreveport, which would attract CrossFitters from not only the surrounding area, but throughout the country. 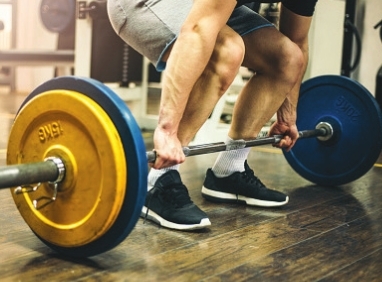 “I asked Kelly Wells from the Shreveport- Bossier Sports Commission, ‘Have you ever considered a CrossFit competition?’ He said, ‘Yeah, I just don’t know anything about it. Somebody would have to take the reins.’ A week later, I called him and said, ‘I’m going to take the reins.’” Thus, “WODGODZ” was born. 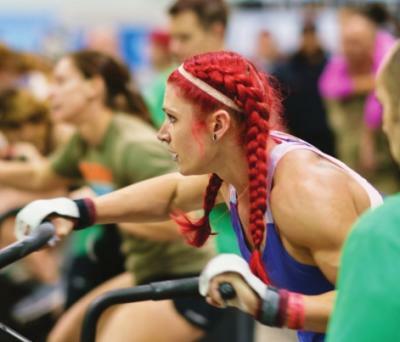 The second annual event – pitting competitors against a challenging array of CrossFit exercises – will be Dec. 8-9 at the Shreveport Convention Center. Approximately 140 CrossFitters took part in last year’s first event – some coming from as far away as Oregon, Michigan and West Virginia. Registration for this year’s event is on pace to eclipse 2017. “I think we’re probably going to be close to the 200 mark, if not better,” Sanders said. When the entrants arrive at the Convention Center, they should be prepared to get to “work” sooner rather than later. From there – and for the next two days – WODGODZ becomes even more intense. The competition is broken down into a variety of divisions, including PRO and RX. One of the benefits of doing CrossFit is that it doesn’t require a lot of your time. Workouts are designed to be short, but intense. Sanders has “pushed” himself to do more than just get in a good workout. He is a competitive CrossFitter, earning a worldwide ranking in his age group. Also through CrossFit, Sanders discovered that wanting to beat the person working out next to you and being supportive of that person can go hand-in-hand. To learn more about WODGODZ, you may visit www.wodgodz.com.